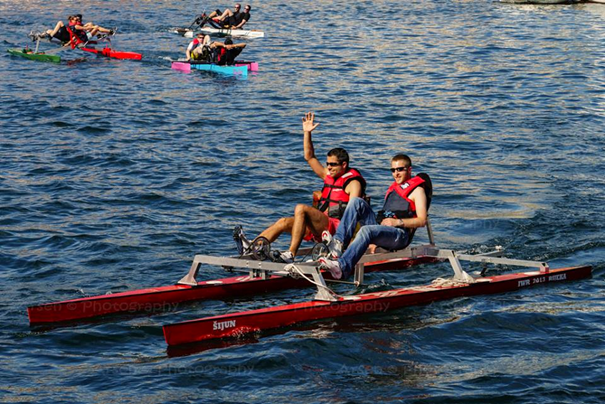 Šijun, what in Croatian means tornado, is the newest waterbike designed in 2013 for the IWR in his hometown Rijeka. It is designed as a traditional concept of our team. Šijun is a carbon-kevlar made catamaran with aluminium structure and azipod propulsion.